In the 1950s and 1960s, visitors to Winnipeg were often driven around Armstrong’s Point and along Wellington Crescent to view the mansions surviving from Winnipeg’s days as the grain shipping and wholesale capital of Canada. One of the largest of these houses, 514 Wellington Crescent, owes its origin neither to grain nor to the wholesale trade but to cattle. 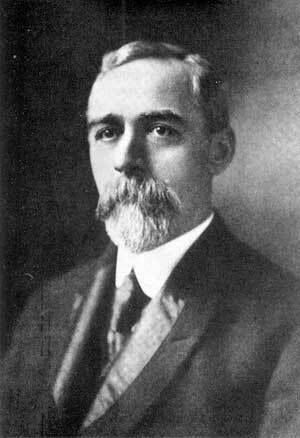 Its builder, James Thomas Gordon, was president of Gordon, Ironside and Fares (GIF), Canada’s largest exporter of cattle and the operator of the principal packing plant in Winnipeg in the years before the First World War. GIF also had the distinction of being one of the most important ranching companies in Canada with thousands of cattle on ranches in Alberta, Saskatchewan and Mexico. Like the grain merchants and the wholesalers, the firm of Gordon, Ironside and Fares prospered by developing the resources and markets linked by the completion of the CPR. In 1881, four years before the completion of the railway, the Dominion Government, at the urging of eastern investors, instituted a policy designed to encourage ranching in the Northwest Territories. Leases of up to 100,000 acres of land were granted to prospective ranchers for 21 years at 1 cent per acre annually: the lessees were required to stock their range within three years. The government hoped to secure some revenue from the leased land and to provide a local supply of beef to replace the buffalo as food for Aboriginal People and for new settlers. Investors hoped to secure government contracts for beef and, when the railway was completed, to supply growing markets in eastern Canada and Britain. The policy was a success; the cattle population of the North West Territories grew from 12,872 in 1881 to 86,958 in 1885 and 231,857 in 1891. Most of the cattle were in the District of Alberta; by 1884 Alberta ranchers began shipping to Winnipeg and in 1887 they made an initial shipment of live cattle to Britain. The export of cattle to Britain proved profitable and expanded quickly; although they were not involved in the initial shipments Gordon, Ironside and Fares soon came to dominate the export trade. With the contacts, knowledge and capital gleaned from the export trade, they invested in ranching and meatpacking. 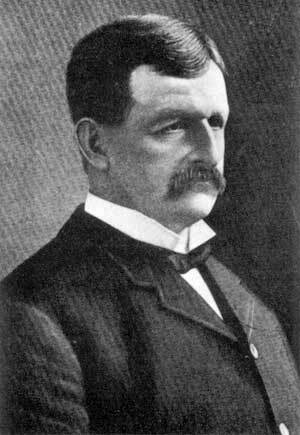 James T. Gordon, circa 1903. Gordon and Ironside reformed their partnership about 1890 and in 1891 shipped 1500 head to Britain. These cattle came from as far afield as Prince Albert, Battleford, Edmonton and the ranching country of the Foothills. The usual procedure in the mid-‘90s was for the partners to make a tour through the farm districts of Manitoba and the ranching districts of the Territories in the early summer. They would buy cattle for delivery in the fall when the cattle would be fat from a summer’s grazing. In late August one of the partners would go west to attend the fall roundups and select the cattle which were to be shipped and arrange for their loading and shipping east. The other partner would supervise shipments through Winnipeg and would sometimes travel with trainloads of cattle to see them loaded in Montreal for shipment overseas. Many of the Canadian cattle were slaughtered immediately after arrival in Britain or after being delivered to local butchers but a substantial number of were sold as stockers to be fattened by British farmers before being sold. In 1892 a combination of protectionist sentiment, concern about the spread of infectious diseases, and humanitarian concern over the conditions in which cattle were shipped, led the British to impose regulations (known as scheduling) which required the slaughter of all Canadian cattle within a few days of their arrival in Britain. This change was the primary cause of Canadian exports dropping from 101,000 in 1892 to 80,000 in 1894. Eastern Canada was particularly hard hit because it exported a substantial proportion of stockers to Britain. Because of the heavy railway transportation costs, western Canada generally exported finished cattle rather than stockers; the finished cattle, particularly the wild ranch cattle, were normally slaughtered on arrival in Britain. Consequently the west was less affected by scheduling than the east and exporters based in the west, such as Gordon and Ironside, gained some advantage over eastern based rivals. Although scheduling was a serious blow to some parts of the trade, overall Canadian exports recovered within five years and continued to grow until 1906. Eastern Canada also had a substantial trade in stocker cattle to the United States. In 1887 Canada exported 45,000 live cattle to the United States compared with 63,000 to Britain. Over the next five years tariff changes and health regulations completely destroyed the American trade. With the British market reduced and the U.S. market closed, Ontario farmers were forced to find new markets. In the 1890s many of them began to ship stocker cattle west for one or two years where they were finished on prairie grass before marketing. By the end of the century the western ranches received from 10,000 to 20,000 Ontario stockers and perhaps 25,000 Manitoba stockers annually. When these cattle were shipped back east or to Britain as slaughter cattle the odds were that they would be handled by western shippers such as GIF. 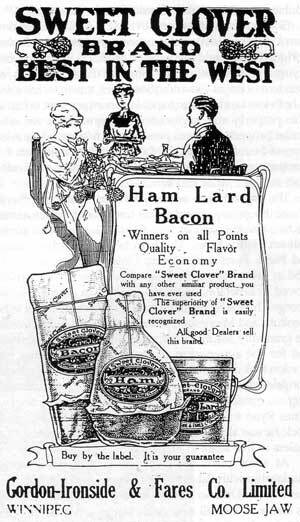 Advertisement for Sweet Clover Brand Ham, Lard and Bacon, Gordon, Ironside and Fares Co. Ltd., Henderson’s Winnipeg Directory, 1918, page 77. At some point the company established a working relationship with Pat Burns of Calgary. Like Gordon, Bums was born in Ontario to Irish immigrant parents. He began his career as a small time cattle buyer at Minnedosa about 1885; his first large contracts involved supplying beef to railway construction crews. He followed these contracts west to Calgary and by the late 1890s he was a major buyer in the Foothills country. He established a slaughterhouse in Calgary and a chain of butcher shops in British Columbia and Alberta. By focussing on the domestic market he was able to buy lower quality cattle which would not bear the cost of export; as a result, he did not compete directly with Gordon, Ironside and Fares who bought higher quality, export cattle. Ranchers suspected the two firms of collusion and price fixing. They also accused GIF of taking undue advantage of its position as the dominant exporter to manipulate both rail and ocean freight rates. Producers’ complaints led to Burns and GIF being investigated by the “Beef Commission” of 1907. Both Bums and Gordon denied any attempt to fix prices or to divide up the market. The commissioners found that Burns did not compete in the export market and in fact sold the export steers which he bought to GIF; the commissioners considered that this arrangement was a legitimate one and that it benefited sellers because Burns was willing to take both their export cattle and their domestic slaughter cattle. The commissioners did not comment on the issue of manipulation of freight rates but there can be little doubt that GIF would have benefited from economies of scale and from its position as the major shipper of western cattle. The firm did suffer heavy losses on another large ranch, the Bar U, which it had bought in 1902 in partnership with George Lane. The Bar U had been organized as the North West Cattle Company in 1882 with the financial backing of the Allan family of Montreal. Over twenty years it gained the reputation of being the best managed of the major ranches but the death of Andrew Allan in 1901 put its future in doubt. George Lane seized the opportunity and made an offer of $220,000.00 for the ranch which consisted of about 18,000 acres of deeded land, extensive leases, numerous buildings, 3000 cattle and 500 horses. Lane, an American cowboy, had come to Canada in 1884 as foreman of the Bar U. He left the ranch in 1887 and worked as a cattle buyer for Pat Burns and for Gordon and Ironside. By some accounts, he became a partner in GIF  but when the firm incorporated in 1901 he was not among the shareholders. In 1902, when he made the offer on the Bar U, Lane had acquired his own ranch but he was not so wealthy that he could finance the deal on his own and he brought in GIF as equal partners. Abattoir of Gordon, Ironside and Fares, Winnipeg, circa 1903. Figure 1: Annual exports of live cattle to Britain and the United States, 1868-1920. Although its profits rose to $443,217.00 in 1916-17,  GIF was in financial difficulty by the end of the war. The live cattle trade with Britain had collapsed shortly before the war; it was a victim of declining supplies as farmland replaced ranchland in western Canada and of competition from exports of chilled beef from other countries. 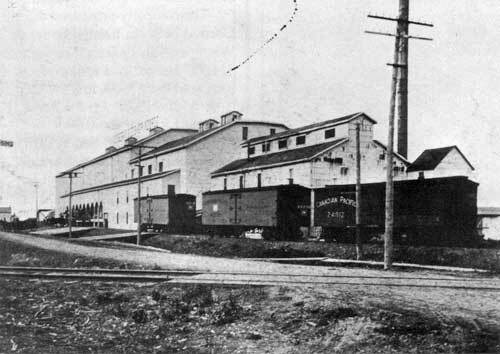 The establishment of the Union Stockyards in St. Boniface in 1913 isolated the GIF plant in north Winnipeg. GIF, and most other packers, opposed the establishment of the Yards on the grounds of expense  but it also seems probable that they were hostile to a project which was an attack on their dominant position in marketing. Gordon, who was at the core of the company, was in poor health and there were rumours that his health affected the company’s management. In 1918 GM found it necessary to bring in a new partner, the Toronto firm, Harris Abattoir Company Limited. A new company, Gordon, Ironside and Fares Packers, Limited, was formed with a capital of $3,000,000.00. Twenty thousand of the 30,000 shares were issued; GIF held 45% and Harris Abattoir Company Limited held 55%. The new firm, with J. T. Gordon as president, leased the existing abattoir and acquired its meat packing and distribution business. The original OF continued as a holding company and as the operator of the ranches. CIF Packers lost heavily as a result of excess capacity and the fall of prices at the end of the war; in 1921 Harris Abattoir announced that it had written off its investment of $1,100,000.00 in GIF Packers. At the same time GIF Packers failed to meet the interest on its debentures and the plant was taken over and operated by the bondholders. The rescue operation was unsuccessful and in 1925 GIF Packers abandoned its old plant in Winnipeg (the Moose Jaw plant had been closed in 1920) and built a new one adjacent to the Union Stockyards in St. Boniface; at the same time the company name was changed to Harris Abattoir (Western) Limited. In 1927 it became part of Canada Packers Limited. GIF’s principal assets were its ranch lands. As part of the settlement of the estate, Standard Trust negotiated the sale of GlF’s half-interest in the Bar U to George Lane for $650,000.00 cash and the assumption of $100,000.00 in debts. Most of the ranches in Saskatchewan were sold to P. Burns. Fares took over one of the Saskatchewan leases, the Sand Lake Field, which he operated as a horse ranch until 1926. The Gordon home at 514 Wellington Crescent was sold for $85,500.00. In spite of these sales, the estate was insolvent with apparent liabilities exceeding assets by $4,868,396.55 in 1922. Although Gordon, Ironside and Fares Company (Limited) continued to exist until the late 1930s it became inactive with no assets and extensive liabilities. 1. Much of the research upon which this paper is based was originally carried out to support the development of the Bar U Ranch National Historic Site by Parks Canada. I would like to thank Simon Evans, who was a colleague in that research, for commenting on this paper. 2. Rosemary Malaher, Crescentwood, Winnipeg’s Best Residential District, Manitoba History, 24, Autumn 1992, p.25. 3. Canada. Department of Agriculture. Census of Canada, 1891. Bulletin No.7. (Ottawa: March 1892); for an account of the growth of ranching, see David H. Breen, The Canadian Prairie West and the Ranching Frontier, 1874-1924 Toronto: University of Toronto Press, 1983. 4. Canada, Report of the Minister of Agriculture for 1884, p. 136; Canada. Report of the Minister of Agriculture for 1887, p. 198-99. 5. Frank Howard Schofield, The Story of Manitoba: Biographical, Illustrated, Vol. II, (Winnipeg: S. J. Clarke, 1913), pp. 40, 688; Pembina Manitoba. 100th Anniversary and Reunion, July 2-8, 1979, p. 50-51; Provincial Library of Manitoba, clipping file, Winnipeg Telegram, ? March 1907; Manitoba Free Press, 22 December 1919, pp. 1, 9, “J. T. Gordon Dead After Long Illness”. 7. The Commercial, Winnipeg, 27 Aug. 1887, p. 377, “North West Trade and General News;” The Newspaper Reference Book of Canada (Toronto: Published by the Press Publishing Company Ltd., 1903) p. 139. 8. The Commercial, Winnipeg, 29 Sept. 1890, p. 27; Ibid., 13 Oct. 1890, p. 75, “Manitoba”. 9. The Commercial, Winnipeg, 2 Nov. 1891, p. 147, “Manitoba”. 10. Manitoba Free Press, 15 August 1907, pp. 1, 9, 10, “Butchers Before Beef Commission”. 11. Schofield, The Story of Manitoba, Vol. II, p. 690; The Newspaper Reference Book of Canada, p. 139. 13. Macleod Gazette, 4 Aug. 1893, p. 2, “Alberta Cattle”; Ibid., 18 Aug. 1893, p. 2, “Editorial Notes”; The Commercial, Winnipeg, 4 Dec. 1893, p. 283, “Manitoba”. 14. Simon Evans, “Canadian Beef For Victorian Britain,” Agricultural History, Vol. 53, No. 4, (October 1979), p. 757; NA, RG17, Vol. 2748, File 121675. Railway Rates Upon Farm Products. Special Report. (Part 1 - Findings of Fact) on Railway and Ocean Transportation of Live Stock from Chicago and Toronto to British Markets. Prepared for the Minister of Agriculture. Montreal 1897. 15. Jim Silver, “The Origins of Winnipeg’s Packinghouse Industry: Transitions from Trade to Manufacture,” Prairie Forum, 19, 1, (Spring 1994), p. 24. 16. See Richard Perren The Meat Trade in Britain, 1840-1914 (London: Routledge and Kegan Paul, 1978) for an account of this trade. 17. The Commercial Winnipeg, 30 Nov. 1886, p. 184. 18. Canadian Cattlemen, Vol. 1, No. 1, (June 1938), p. 21; Evans, “Canadian Beef For Victorian Britain”, p. 755, Figure 2. 19. Evans, “Canadian Beef For Victorian Britain”, p. 750. 20. Canadian Cattlemen, Vol. 1, No. 1, (June 1938), p. 21. 21. Simon Evans, “The Passing of a Frontier: Ranching in the Canadian West, 1882-1912.” University of Calgary, Department of Geography, PhD Thesis, May 1976), p. 214; Manitoba. Legislative Assembly. Sessional Papers, 1903, No. 6 ... Report of the Department of Agriculture and Immigration for the year 1902. p. 285. 22. See NA, MG27, D15, Sifton papers. 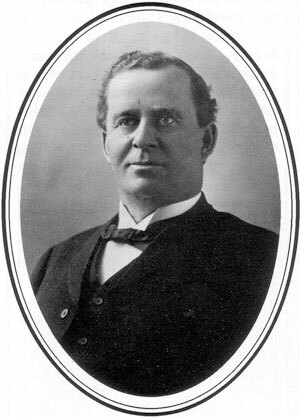 Ironside’s career as an MLA was undistinguished although he did second a motion introducing a bill which would have given Manitoba women the vote in 1893. Manitoba Legislative Assembly. Journals of the Legislative Assembly of Manitoba. From the 2nd of February to the 11th March, 1893 (Winnipeg: Queen’s Printer, 1893), p. 71. 23. NA, RG17, Vol. 2738, File 97895, Ironside, to Minister of Agriculture, 14 Sept. 1896. 24. Canada. Report of the Minister of Agriculture for the Dominion of Canada for the Year Ended October 31 1902, pp. 145-46. 25. The Nor’West Farmer, 5 Nov. 1901, p. 671 and 677. 26. Manitoba Free Press, 22 December 1919, pp. 1, 9, “J. T. Gordon is Dead After A Long Illness”; Henry J. Boam, compiler, Ashley G. Brown and Philip H. Morris, ed., Twentieth Centuries Impressions of Canada, Its History, People, Commerce, Industries and Resources (London and Montreal: Sells, Ltd., 1914), pp. 607-8. 27. NA, RG95, Vol. 1486, Gordon Ironside and Fares Company (Limited), minutes, 26 April 1909. 28. Schofield, The Story of Manitoba, Vol. III, p. 700. 29. Farm and Ranch Review, (Calgary) Apri11906, “Alberta ‘Beef Monopoly’ Inquiry;” Alex. Middleton and Alex. M. Campbell. “Report of the Beef Commission in Alberta,” Report of the Department of Agriculture for 1907 (Edmonton: Jas. E. Richards, Government Printer, 1908), p. 43; Gordon’s testimony before the commission is reported in the Manitoba Free Press, 16 August 1907, pp. 1 and 7, “Low Salaries and Poorer Profits”. 30. Grant MacEwan, Pat Burns: Cattle King (Saskatoon: Western Producer Books, 1979), pp. 131-36. 31. L. V. Kelly, The Range Men: The Story of the Ranchers and Indians of Alberta, (Toronto: Coles Publishing Co., 1980), p.298. 32. NA, MG27, II D 15, Reel C-452, p. 2986, Ironside to Sifton, 5 Dec. 1896; Canadian Cattleman, December 1942, p. 101; Glenbow, M2402, Gordon Ironside and Fares; John Julius Martin, The Prairie Hub. “An Outline History of Early Western Events” (Strathmore, Alberta: The Strathmore Standard, 1967), p. 67; Glenbow, M 867, William Murphy manuscript, Part 2A, “Two Bar Ranch”. 33. Calgary Herald, 5 Feb. 1902; Norman Rankin, “The Boss of the Bar U,” Canada Monthly, 9(5), (March 1911), p. 332; Edward Brado, Cattle Kingdom: Early Ranching in Alberta (Vancouver: Douglas and McIntyre, 1984), pp. 120-23. 34. Manitoba Free Press, 22 December 1919, pp. 1, 9, “J. T. Gordon Dead After Long Illness”. 35. NA, RG2, Z-28, Reel T-5002, No. 1159D, Order in Council Approved 11 April 1905; Simon Evans, “George Lane: Notes on a Life,” Unpublished Manuscript, Parks Canada; Alice Carey Cayford, “Homesteading on the Bow,” Alberta History, Vol. 41, No. 3 (Summer 1993), pp. 12-14; NA, RG15, Vol 1210, File 145330-3 Regulations, Lane to Greenway, 1 June 1904. 36. Provincial Archives of Manitoba, Court of Queen’s Bench, Probate, App#1185, G761, Estate of James T. Gordon. 37. NA, RG10, Vol. 3571, File 130, Part 19, Reel C-10101, Agreement dated 16 May 1903; Hansard 4 May 1904, p. 2554. GIF’s involvement in this consortium is first mentioned in the Manitoba Free Press, 13 June 1907, “Beef Commission at Lethbridge”, p. 1. 38. Manitoba Free Press, 13 June 1907, “Beef Commission at Lethbridge”, p. 1. 39. Glenbow, M1788, Blood Agency Files, Box 5, File 39; High River Times, 27 June 1912, “Blood Reserve Lease”. 40. Glenbow-Alberta Archives, Blood Agency files, Box 5, File 36 and 37 and Box 8, File 61 and 62; Manitoba Free Press, 22 December 1919, pp. 1, 9, “J. T. Gordon Dead After Long Illness”; Annual Financial Review. Canadian. 1913, Vol. 13, p. 224; Frederick W. Ings, Before the Fences: Tales from the Midway Ranch (np: sn, 1980) p. 153 puts the number of cattle on the lease 10,000. 41. Eva Delday, Brooks: Between the Red Deer and the Bow, ed. Pearl Thomas, (Brooks: Eva Delday, 1975), p. 26; Rae B. Gordon, “Buffalo to Beef,” Canadian Cattlemen, 3(4) March 1941, pp. 527, 530. 42. Don C. McGowan, Grassland Settlers: the Swift Current Region During the Era of the Ranching Frontier (Regina: Canadian Plains Research Centre, 1975), p. 77; S. E. Warren, “Some Memories of the Old ‘76’”, Canadian Cattlemen, 12(2), Sept. 1949. 43. McGowan, Grassland Settlers:, p. 77; S. E. Warren, “Some Memories of the Old ‘76’”, Canadian Cattlemen,12(2), Sept. 1949, p. 21; D. M. Loveridge and Barry Potyondi, From Wood Mountain to the Whitemud: A Historical Survey of the Grasslands National Park Area History and Archaeology, No. 77. (Ottawa: Parks Canada, 1983), pp. 137-46. 44. The Nor’West Farmer, 1903, p. 329 “Mexican Cattle”. 45. Manuel A. Machado, The North Mexican Cattle Industry, 1910-1975: Ideology, Conflict and Change, p. 5. 46. High River Pioneers’ and Old Timers’ Association. Leaves from the Medicine Tree, p. 278. 47. The Nor’West Farmer, 20 June 1902, p. 497; High River Times, 27 June 1912, “Blood Reserve Lease”. 48. Annual Financial Review. Canadian. 1913, Vol. 13, p. 224. 49. Henderson’s Manitoba, Northwest Territories Gazetteer and Directory for 1899 (Winnipeg: The Henderson Publishing Co., circa 1899) p. 772; Henderson’s Moose Jaw Directory for 1913 (Winnipeg: Henderson Directories Limited, circa 1913) p. 52; Boam and Brown, The Prairie Provinces of Canada:, pp. 92-93; NA, RG17, Vol. 988, File 159525, Report on the Conditions in Canadian Meat Packing Houses by W. W. Moore, September 17, 1906. 50. NA, RG95, Vol. 1486, Gordon Ironside and Fares Company (Limited). 51. Malaher, Crescentwood, Winnipeg’s Best Residential District, p. 25. 52. NA, RG95, Vol. 1486, Gordon Ironside and Fares Company (Limited). 53. NA, RG95, Vol. 1486, Gordon Ironside and Fares Company (Limited); Schofield, Story of Manitoba, Vol. 2, p. 691. 54. Annual Financial Review. Canadian. 1913 Vol. 13, p. 224. The Rush Lake property was probably at the CPR station east of Swift Current where Smith and Fares were live stock dealers. 55. Annual Financial Review. Canadian. 1917 Vol. 17, p. 232. 56. Evans, “Canadian Beef For Victorian Britain”, p. 759-761. 57. Manitoba Free Press, 24 January 1914, “Closing of C.P.R. Plant is Strongly Opposed by Packers”. 58. NA, RG95, Vol.678, Harris Abattoir (Western Ltd.); A. J. E. Child, The Predecessor Companies of Canada Packers Limited: A Study of Entrepreneurial Achievement and Entrepreneurial Failure (MA Thesis, University of Toronto, 1960), p. 160-611. 59. Manitoba Free Press, 22 December 1919, pp. 1, 9, “J. T. Gordon Dead After Long Illness”. 60. Manitoba. Court of Queen’s Bench, Probate, App.#11858 G761. 61. Manitoba. Court of Queen’s Bench, Probate, App.#11858, G761; Glenbow, M160, Burns Foundation Papers, D, Ranch business, 1896-1960. Box 11, File 202. Mule Creek Cattle Co. 1924-26. 62. Manitoba Free Press, 22 December 1919, pp. 1, 9, “J. T. Gordon Dead After Long illness”.